iTunes is a music application that can be used on a Mac or a PC. 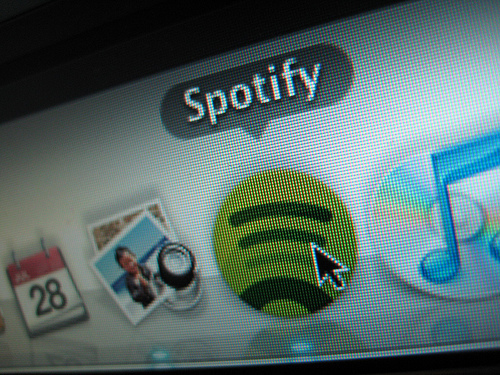 It allows the user to organize their music and videos on the computer. The user can get the music or videos on the computer, iPod Touch, iPhone, iPad, or Apple TV. It can keep the user entertained anytime and anywhere. It comes with a player for the music and videos and a store where the user can buy their favorite music and videos.iTunes has a lot of new features. They include things like Ping, TV show rentals, improved syncing, and Genius. Ping is a lot like Facebook. It allows its users to connect with each other and announce all of the latest concerts and events among each other. Users can see their friends top music playlists. iPod and iPhone users can use Ping on the those devices too. TV shows can be rented for .99 cents a piece and are commercial free. They are available for a 48 hour time period after they are paid for. Improved syncing just means that the user’s music and videos will be synced together even faster. Genius is a way to play all of the user’s favorite music with one click. Sotify is an online music player. The user can listen to their music all the time no matter what they are. It is not available in the United States yet. The user can create many different playlists of variety of different music. The music is live so the user does not have to download anything. Sotify can be used on a computer or through a cell phone. It is a free application that makes sharing your music more easy. Sotify has a lot of other features too. It has playlists that uses the drag and drop method. It has an offline mode which allows the users to still to listen to music even if they don’t have an internet connection. You can download the music that you hear by just clicking the buy button. The user can listen to their music no matter what they are in the world.